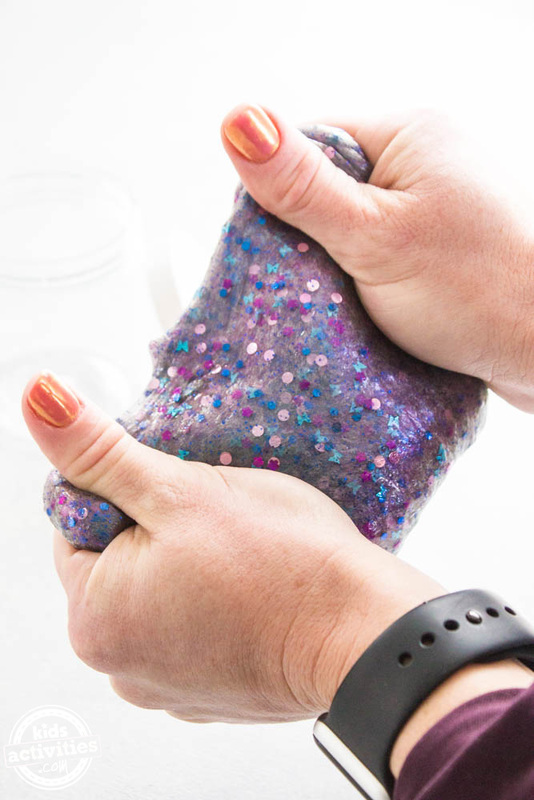 Dragon Scale Slime is one of our favorite homemade slime recipes. 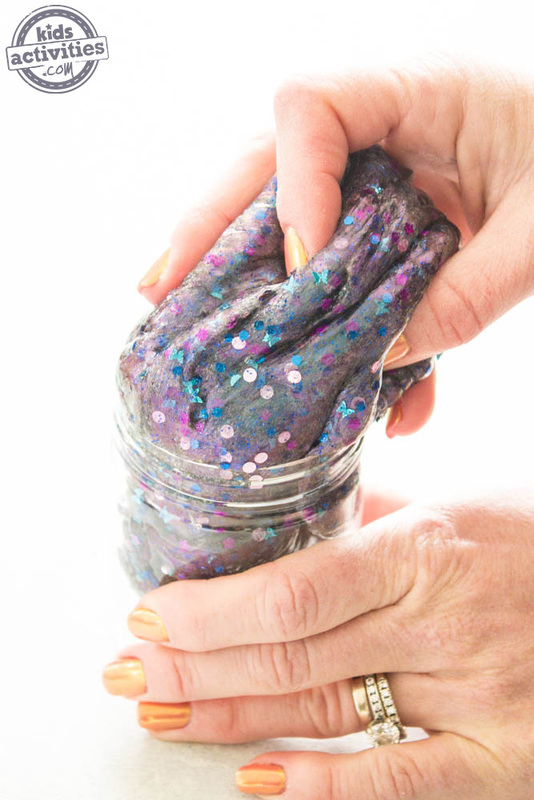 Kids will love creating this colorful and unique slime. 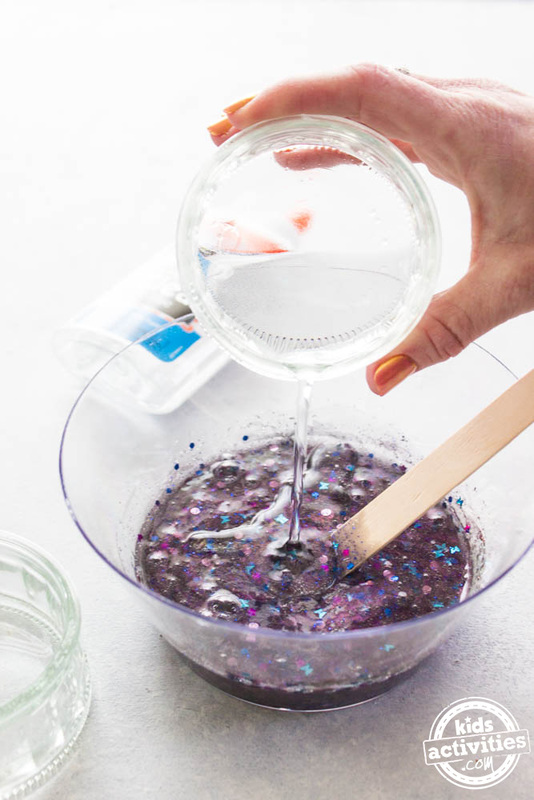 You can get a variety of colors in cosmetic powder and sparkles to give your kids the creativity to make the dragon scale slime in their favorite shades. And you only need 5 ingredients. 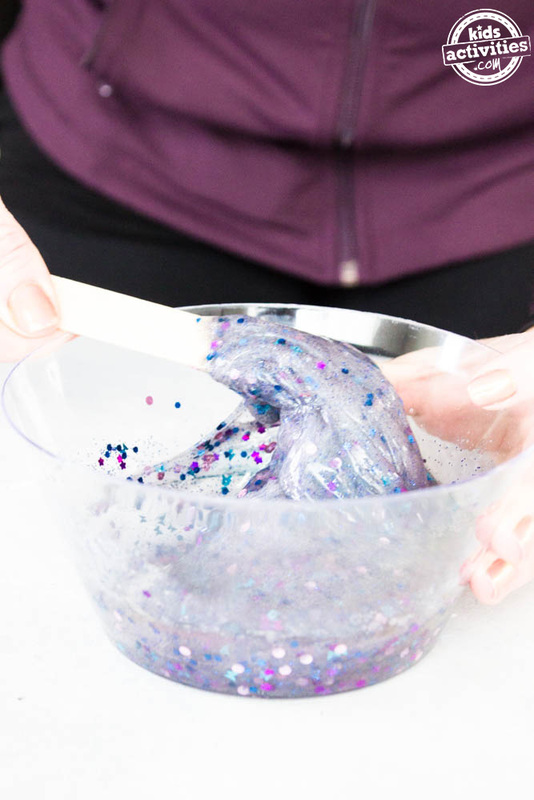 In the end, this slime will look like any kind of dragon scales your kids can imagine. 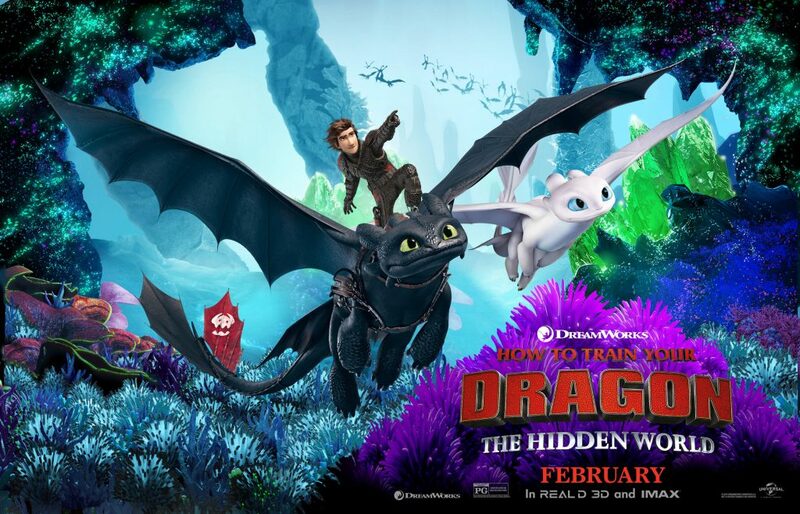 While we’re on the topic of dragon scale slime, are you familiar with the famous dragon, Toothless, from the How to Train a Dragon series? 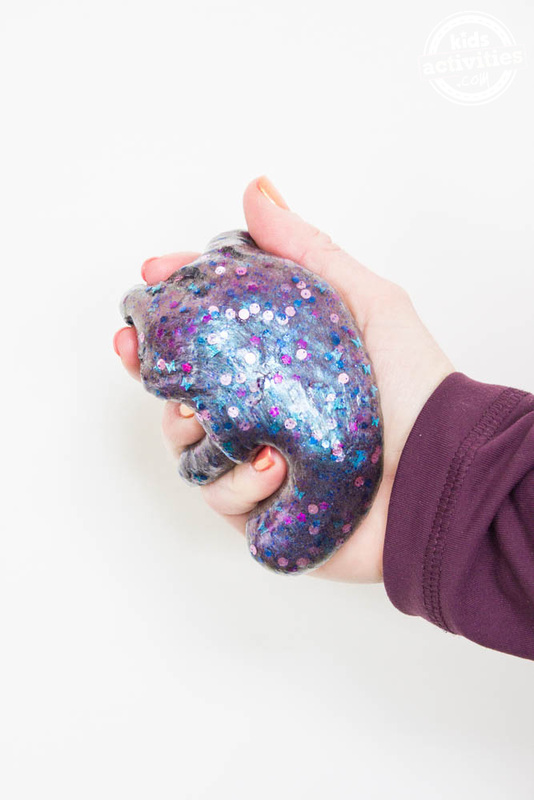 Well, this slime was inspired by Toothless and all his dragon friends. We had a chance to visit the Universal Studios Lot to make this special slime with Jay Baruchel and America Ferrera, the voices of Hiccup and Astrid. 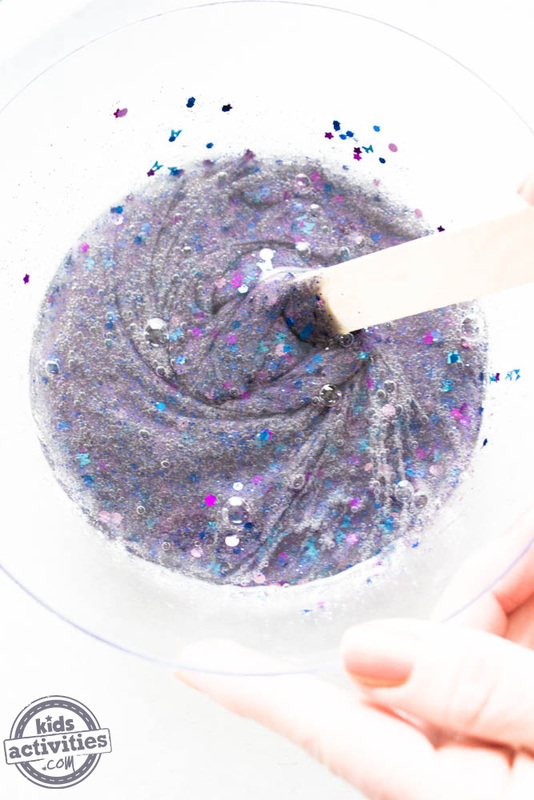 With the final movie in the series, How to Train Your Dragon: The Hidden World, now in theaters, we thought there was no better way to celebrate the release of this movie than to create Dragon Scale Slime with Jay and America. 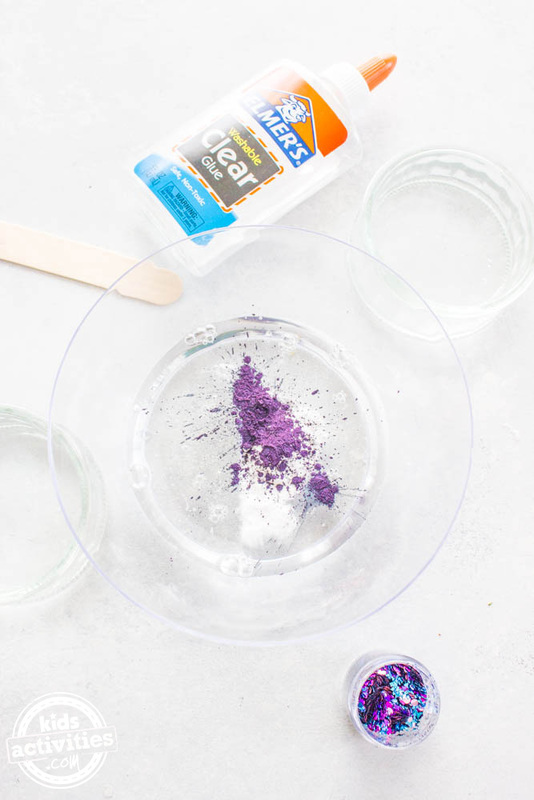 Pour the clear glue into a bowl and add the 1/2 TBSP baking soda. 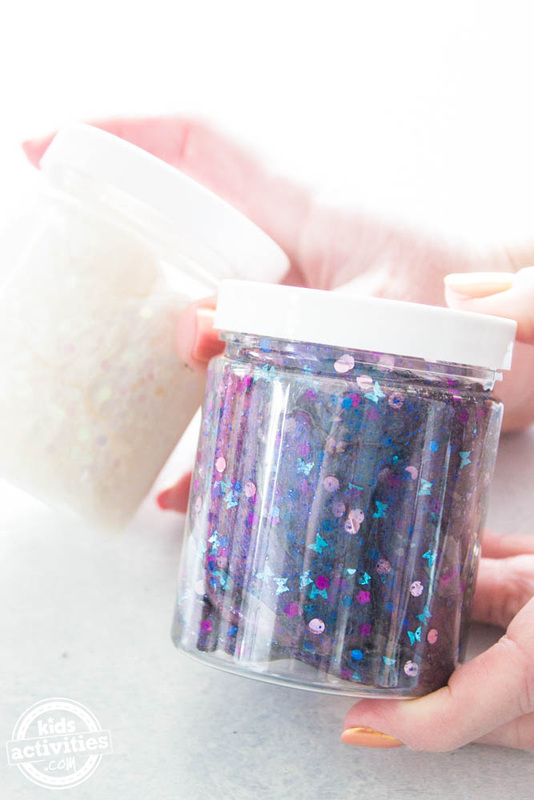 Mix in the ½ TSP of cosmetic powder, which can be found at your local craft store or on Amazon. Add in 1 ½ TBSP of Saline Solution (add half in first, continue to mix, and if needed, add second half). Use craft stick to initially mix ingredients and as soon as it starts to form, knead, knead, knead. 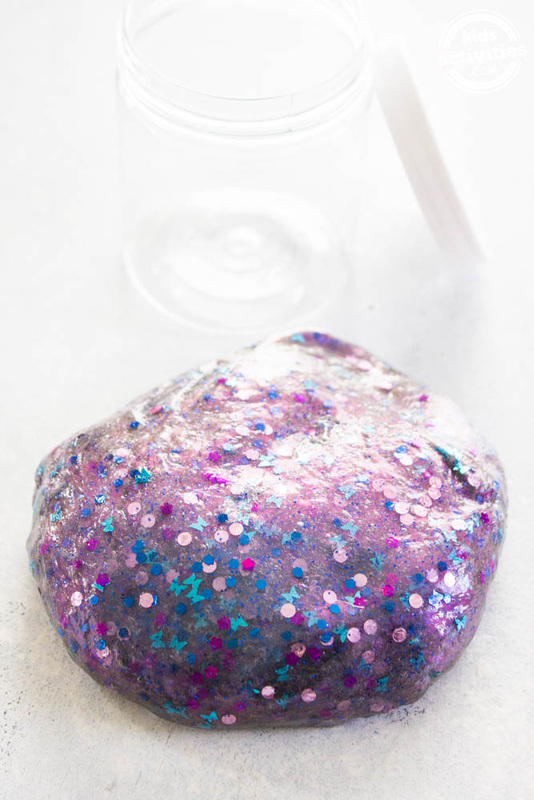 Now your dragon scale slime is ready to play! 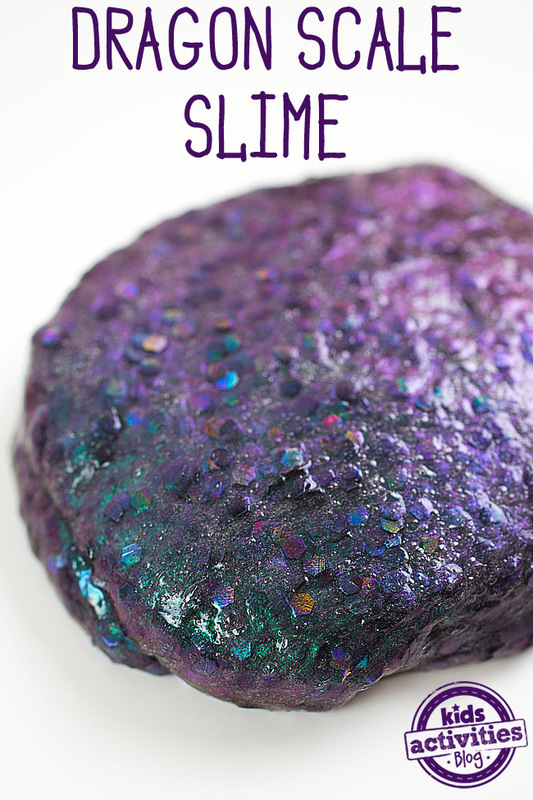 My kiddo loves how this slime appears to be different colors depending on the light. Sometimes it’s purple; sometimes it’s green. So much fun!! 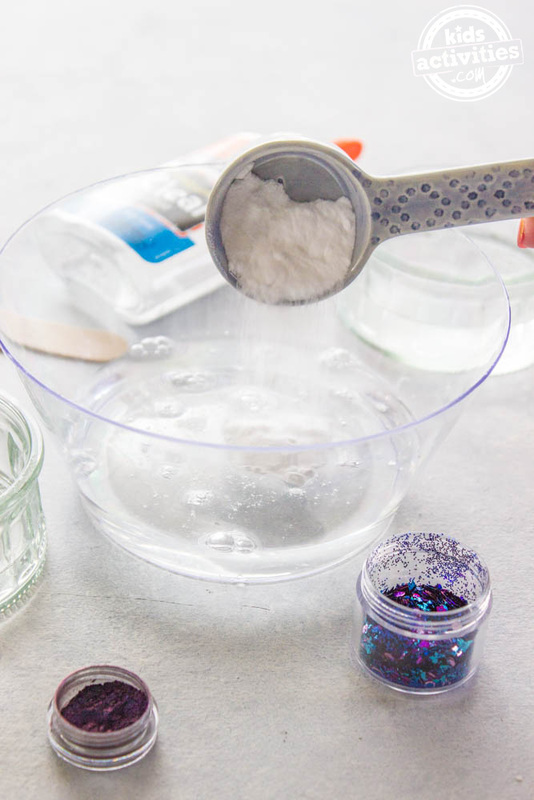 Be sure to check out our favorite borax-free slime recipes. 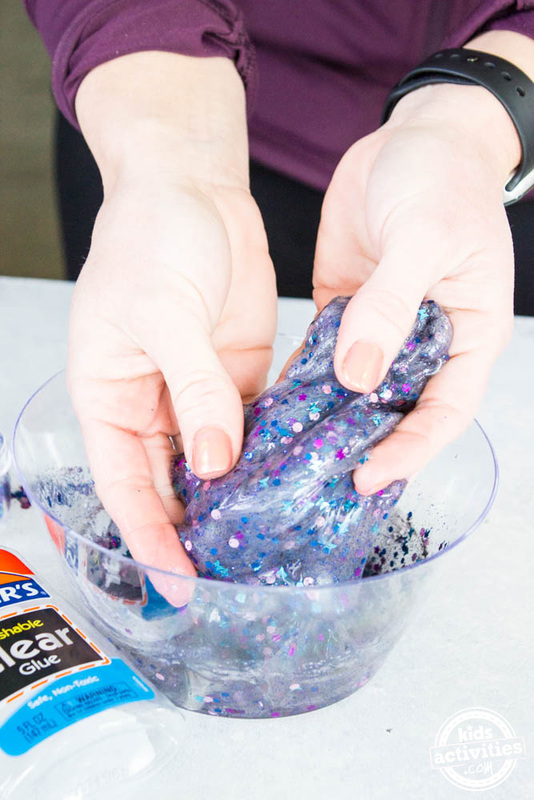 And if you make this fun slime recipe, be sure to share a photo with us on our Facebook page! Wow!This is so cute.I would try this with my kids.Loving your blog;good job! 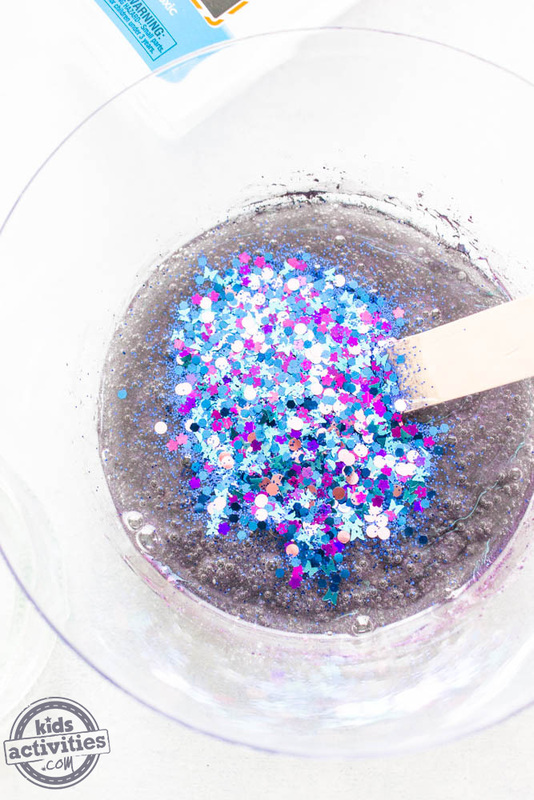 How much cosmetic powder do you use?